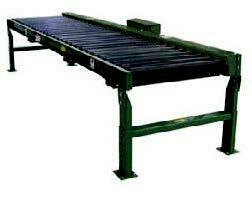 Hytrol is a major manufacturer of conveyors, conveying systems and conveyor accessories. Since they began in 1947, they have constantly innovated and upgraded their products, systems, materials and methods. Today, with operations in the United States and Mexico, Hytrol is the largest conveyor manufacturer in North America. As a result, they have become a major supplier of sophisticated conveying systems, serving many of the world’s largest corporations with products ranging from simple components to fully-automated, high-speed sortation systems. IBT is proud to be an Integration Partner of Hytrol for over 50 years. Hytrol relies on their Integration Partner Network to develop relationships with the end user, understand their process and recommend the appropriate conveyor system to meet their needs. 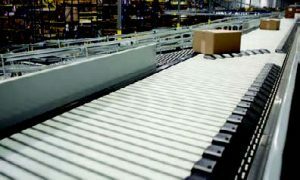 As an Integration partner, IBT has a team of Hytrol Trained Conveyor Experts to help customers determine system requirements and develop detailed proposals and estimates. IBT’s trained Specialists can oversee the procurement, installation, start-up and all necessary training. PLUS—Hytrol components are fully warranted for one year against manufacturing defects. 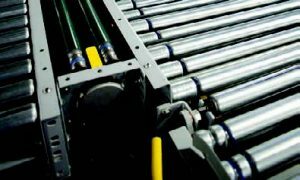 Let IBT Conveying Systems Group supply your Replacement Parts, Gravity Conveyors, Hytrol Belt Conveyors, Accumulating Conveyors, Live Roller Conveyors, Portable Conveyors, Accessories, Conveyor Supports and More! 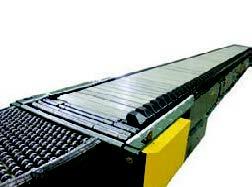 Hytrol Conveyor Company, Inc. is regarded as an industry expert in automated material handling solutions. Their success can be attributed to a firm commitment to systems, solutions and service. They deliver innovative products and applications that improve supply chain profitability and sustainability. 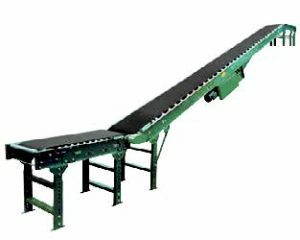 Additionally, their cutting-edge manufacturing facility operates under Lean principles to produce conveyors with the shortest lead-times in the industry. 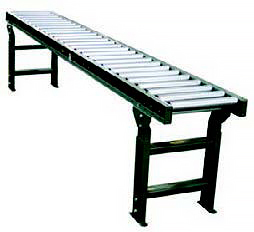 Hytrol continually develops new concepts, conveyors, and applications through many avenues. EZLogic®, or Electronic Zero-Pressure Logic, is a method of zero-pressure control that combines the sensing accuracy of photo electrics with discrete electronic logic control without the use of a PLC or pneumatic logic components. This system provides all the “intelligence” needed to accurately control the various functions of zero-pressure accumulation on a variety of conveyor models. Reduced noise, higher reliability, higher throughputs and ease of maintenance are just some of the advantages of the EZLogic® system. 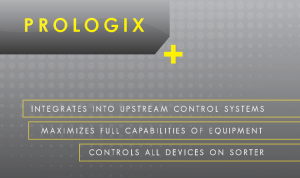 The heart of the EZLogic® Accumulation System is the EZLogic® zone controller. Each controller is equipped with a photoelectric input device to detect product presence, a microprocessor to evaluate various input signals, and control connections to provide communication of data between zones and to and from outside sources. Two types of product sensing are available: A retro-reflective type which is used in conjunction with a reflector to detect packages by looking across the width of the conveyor and a diffuse type which is used to detect packages when a reflector cannot be used. Hytrol’s E24™ provides the industry with the 24-volt DC conveying solution customers have wanted for many years. E24™ sets the standard by delivering a powerful, long-lasting, low voltage means for product transportation. Because E24™ is a Hytrol innovation; it also works great with EZLogic® zero-pressure accumulation systems. 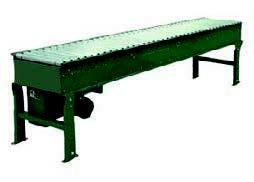 Imagine a line of conveyors and accessories that are friendly to both the operator and the environment, but require no scheduled preventative maintenance – that’s E24™. Whether it’s toys or shoes, pharmaceuticals or appliances, you have created an incredible product. Now’s the time to share it with the world. But, if you’re unsure how to get it out the door, Hytrol has a solution for you. 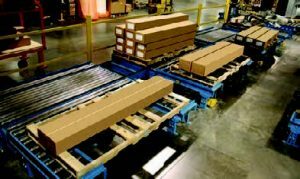 Although pallet handling is not a new concept, there are always system design factors that need to be addressed. Products change, packaging evolves, and demand increases. Hytrol understands these issues and has created a state-of-the-art Pallet Handling Test System to help you find the right solution for your changing needs. 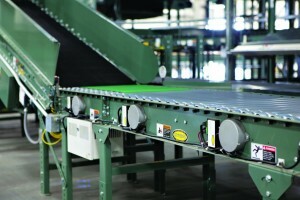 Hytrol’s mid-range sortation system is equipped with 30˚ and 90˚ diverts, both specially designed for the ProSort MRT. The precision diverts are independent of the transfer belts making them maintenance friendly and allowing for more flexible divert locations. Both the 30˚ and 90˚ can be integrated into the same unit and located as close as 24 inches apart. The ProSort MRT 30 allows for faster throughput rates using precision bearing wheels that pop-up between the belts to divert the product at 30˚ angles. 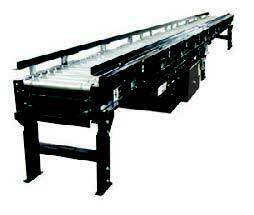 The ProSort MRT 90 is a dual-sided divert that provides induction capabilities anywhere along the conveyor. The rollers pop up between the belts, diverting items at 90˚ angles. One major advantage is the ProSort MRT’s ability to track products. 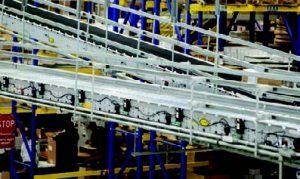 Narrow belts prevent product slippage and movement allowing induction eyes to accurately track each package and communicate to the PLC where each specific product is along the conveyor. Other unique benefits of Hytrol’s ProSort MRT are the ease of installation and maintenance. 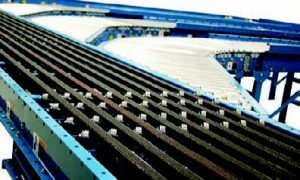 The belts are installed through slotted bed spacers built into the conveyor frame, significantly reducing installation and replacement times. 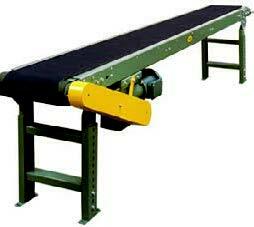 Each belt also has its own individual pneumatic take-up allowing for simple and easy adjustments. Hytrol’s ProSort 400 Elite family of sorters is specifically designed to handle high-speed applications where product diverting needs to be both positive and gentle. The ProSort 421 is designed to sort products at a 22-degree angle where higher speeds are required and close divert centers are not so critical, speeds of 700 FPM are possible. The ProSort 431 is designed to sort products at a 30-degree angle where close divert centers are required and speeds of 350 FPM are possible. The ProSort 421 & 431 series is offered as single-sided, diverting from either side. 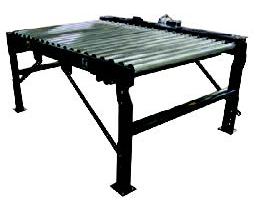 For systems requiring dual-sided sorting, Hytrol offers the ProSort 422 and ProSort 432. These models use a dual-sided wrap around shoe, which is similar to the single-sided shoe, but offers the ability to sort in either direction. The shoe fits the same slat and is designed to be jam-resistant. This allows for increased carton rate with higher throughput. The center switch used with the dual-sided option is designed to require zero electric or pneumatic service for operation. With its unique design, versatile divert options and custom controls package, Hytrol’s ProSort 400 Elite series offers customers an efficient and advanced sortation solution. You can’t go wrong with Hytrol’s Controls package. In addition to the complete pre-engineered software that guides the customer’s product through all phases of sorting, Hytrol engineers design, build and wire all electrical panels. They ensure that all sortation systems will be “GO” when the button is pushed and the sortation system begins to function. Hytrol also supplies “on-site” commissioning for your sortation controls package. Automation in warehousing, distribution, manufacturing, etc. Contact Jim Boatright, IBT’s Conveying Systems Director, at (913) 261-2116 or jimb@ibtinc.com.